No codes, no coupons. 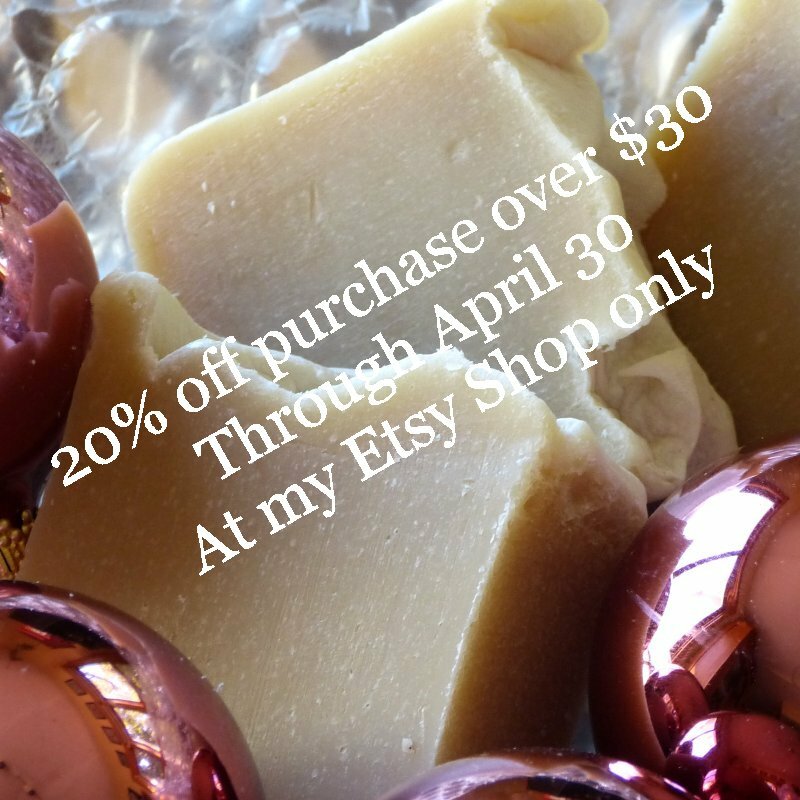 You will automatically be given a 20% discount on orders over $30. Through the month of April. While supplies last. See you there! www.homemadesoapnsuch.etsy.com. P.S. This is in addition to the Buy Five, Get Another FREE. The 20% discount will automatically be applied at checkout to purchases of $30 or more. Northwoods is a blend of all-natural base oils, essential oils - balsam and Siberian fir, a botanical, and a quality fragrance oil that take you directly there - to that special, magical northwoods! 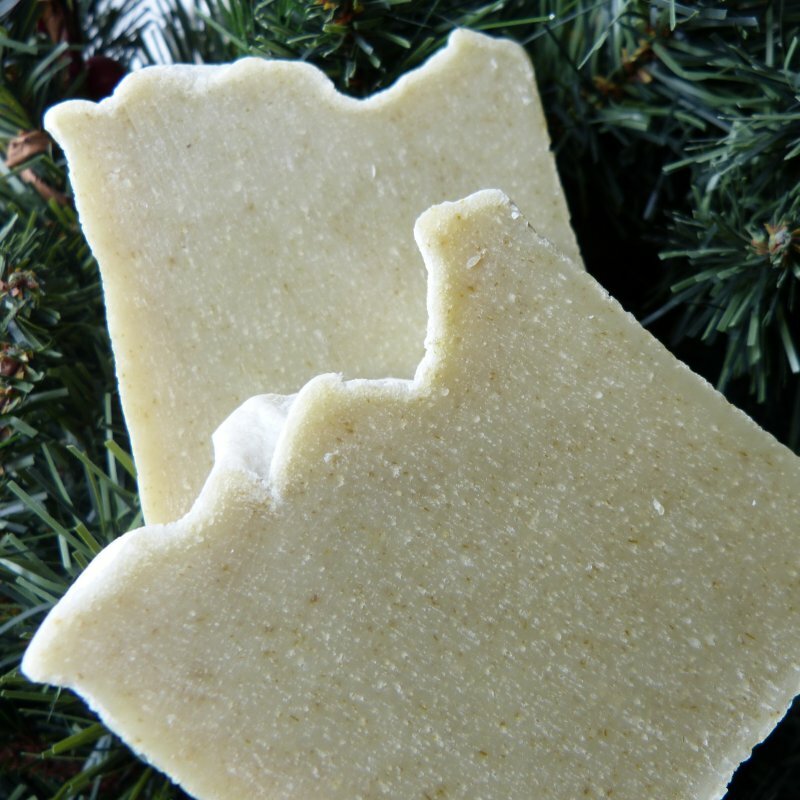 As with all our soaps, Northwoods is natural, handcrafted, and vegan. All colorants are natural and we use no additives or preservatives. You will love the fragrance. Perfect and ready for gift giving. Northwoods is the same soap as Winter Forest, but with a Northwoods label. Buy ANY five or more soaps, get another of your choice FREE! 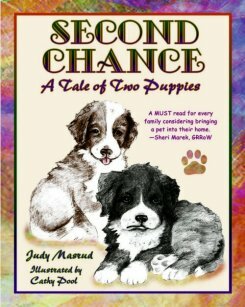 Please write in your Free choice at checkout so that it's not tallied with your total. Thanks! Remarkably, coffee soap is an essential addition to your kitchen, for it will eliminate the odors that tend to remain on your hands after cutting onions and garlic...and probably anything else. And who doesn't like the smell of coffee?? Made with extra-strong, real coffee. 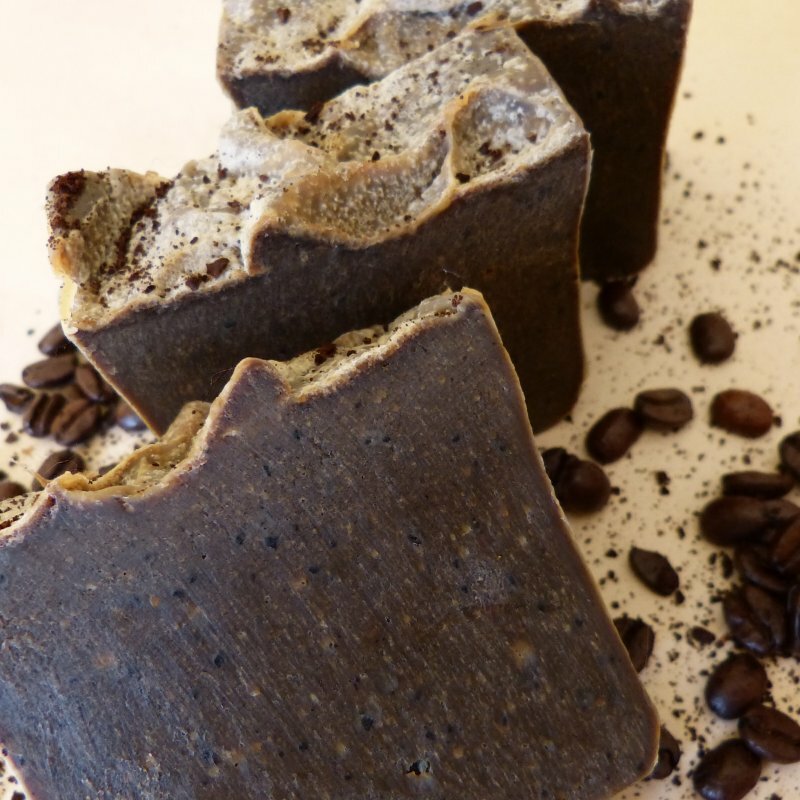 Coffee grounds throughout give this soap a great texture as well. No chef should be without it. Keep this bar at your kitchen sink - and buy one for your favorite chef, even if he or she doesn't get paid for their culinary skills. All-natural base oils, coffee, coffee grounds. 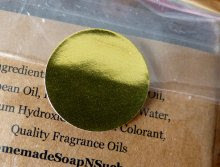 No animal products are used in HomemadeSoapNSuch soaps. Each hand cut soap bar comes with its own distinctive label and is wrapped in a clear cello bag, ready to give as a gift. 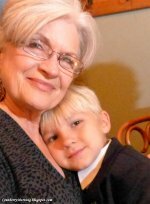 Remember going to the apple orchard when you were a kid? We did, and they gave us spiced apple cider as well as samples of several apple varieties. Our Frosted Apple Spice Homemade Soap will take you back to those wonderful late summer weekends at the apple orchard. Frosted Apple Spice is made with all natural base oils. Creamy, fragrant. Scented with a quality fragrance oil. A favorite soap for a quick shower or a luxurious bath. With dried and ground apple peel from our McIntosh tree, Frosted Apple Spice soap has just the right amount of botanical. Both the apple peel and the textured top of this bar of soap make it a beautiful, visually appealing soap. 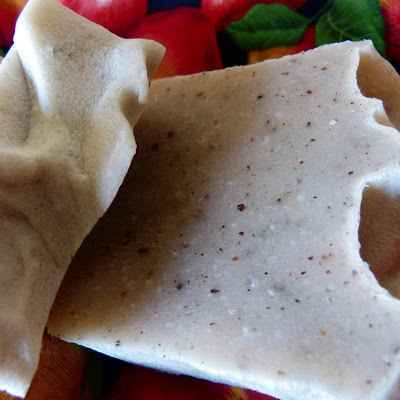 With a fine, creamy texture and spicy apple scent, you'll love our homemade Frosted Apple Spice Soap, and so will your guests! 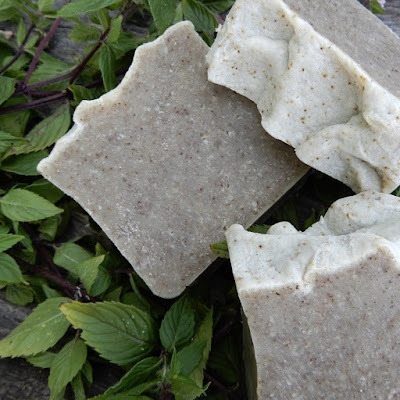 This natural, handcrafted soap is gentle, non irritating, and non drying. Each handcut bar of Frosted Apple Spice homemade soap comes wrapped in its own distinctive label and enclosed in a clear cello bag, ready for gift giving. Please visit our Etsy Store for international shipping. Jojoba Awapuhi Shampoo Bar has ingredients that are moisturizing, anti-bacterial, and acne-fighting. Sweet almond oil, Jojoba oil, Castor oil, Olive oil, etc. If you close your eyes, the fragrance of this beautiful bar of luxury soap could make you believe that you were walking along the beach in the early morning. While the fragrance is definitely reminiscent of an ocean mist, you will also detect slight hints of fruit and spice. Delicious! Wet hair. Rub shampoo bar directly onto roots and along lengths of hair. Massage scalp gently with fingertips. Rinse. If desired, follow with your favorite conditioner. We want you to be pleased with your Jojoba Awapuhi Shampoo Bar, so please read the following instructions on how to use it properly. When you switch to a natural shampoo bar, your hair will benefit because you will no longer be stripping the natural, protective oils from your hair. It may, however, take a couple weeks for your hair to adjust and stop over-compensating and over-producing oils that were being stripped by the standard shampoos. Be aware that natural bar shampoos should not be used with silicone-based styling products as the natural shampoos do not contain the harsh detergents needed to remove the product residue. Therefore, if you've been using commercial styling products, it is best to use a clarifying shampoo once before transitioning to your gentle new bar shampoo. After a brief transition period, your hair will most likely be fuller, softer, and shinier with your bar, eliminating the need for styling products! 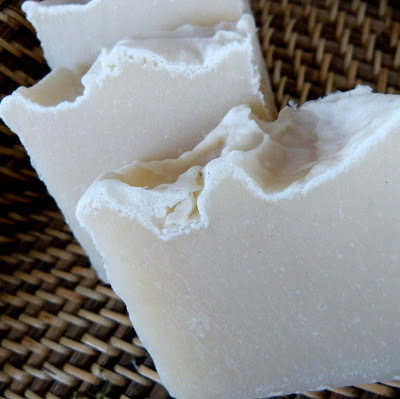 Vegan Soap: No animal products are ever used in our soaps. Jojoba Awapuhi Shampoo Bar will make your hair happy and chemical-free! This listing is for 1 bar of Jojoba Awapuhi Shampoo Bar handcrafted vegan soap. Each bar is appx. 4.5-5.0 oz. 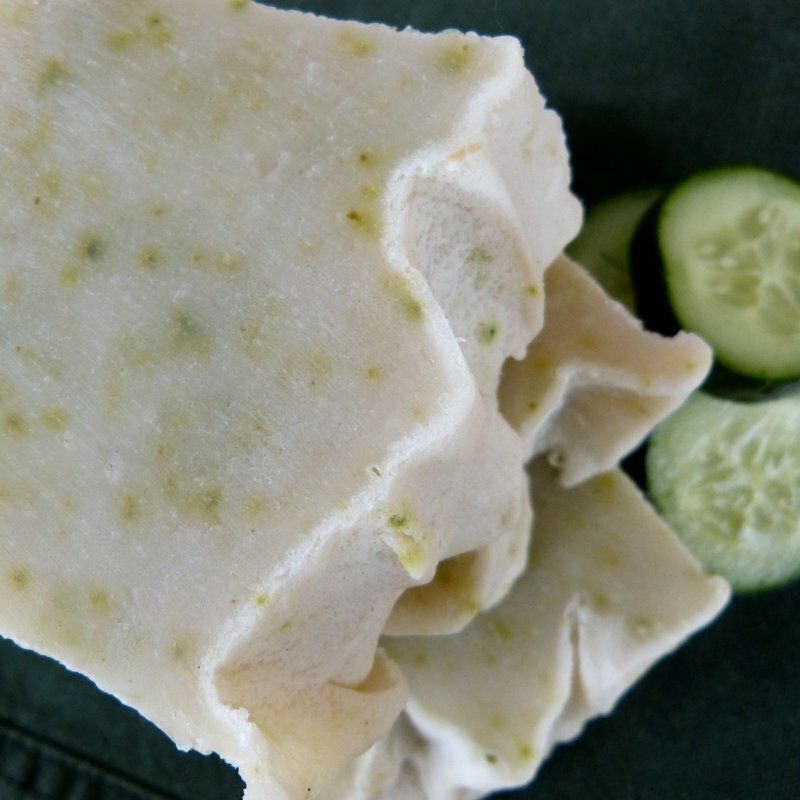 Made with real dried cucumber peel and gel from our aloe plant, this handcrafted soap has a summery-fresh fragrance you'll love. With 100% natural base oils, quality fragrance oils, and garden botanicals, Cucumber Peel & Aloe should accompany you to your next shower or bath. You know how fresh that summer cucumber smells? 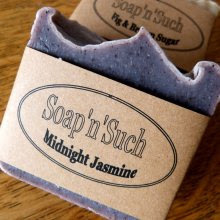 That same wonderful fragrance is captured in this handcrafted luxury soap! Great lather, gentle to your skin. Natural, Vegan. Each bar comes wrapped in its own distinctive label and enclosed in a cello bag and seal, ready for gift giving.